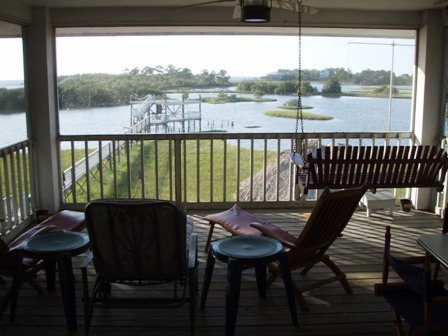 This home offers one of the best views in Cedar key. 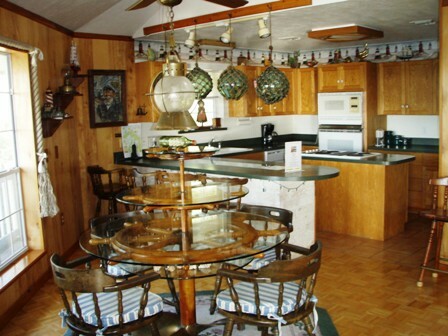 Located close to the airstrip, this house is perfect for large groups and families. You can play volleyball, shuffleboard, or horseshoes. 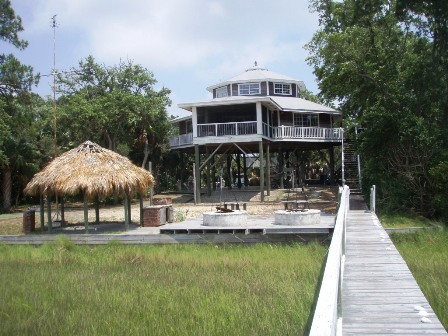 Relax in the palm covered gazebo, or fish from the covered deck off the dock. 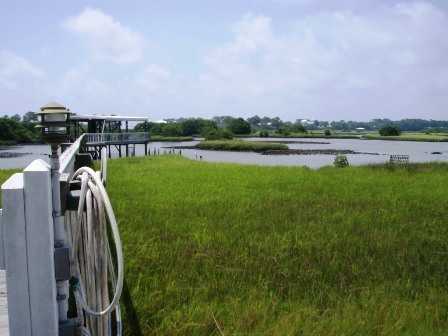 Bring your binoculars to bird watch from this gem of a location. Cloud 9 is a nautically themed, octagon shaped house that sleeps 10 in beds. 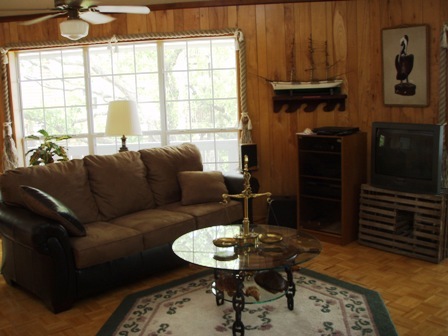 The living area has 2 couches and chairs for watching the satellite Television, DVD and CD players are also available. The kitchen has a bar which lights up to display the owners collection of beautiful shells, and if nicely equipped with the essentials for your stay. 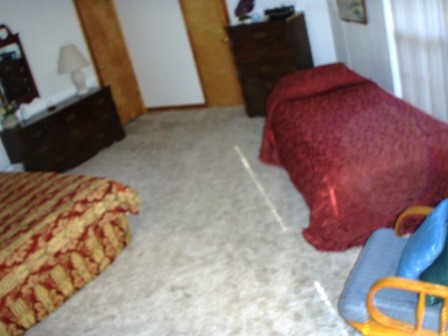 Two bedroom are downstairs, a Queen size bedroom and the master bedroom which has a king size bed and a trundle bed allowing 4 people to sleep comfortably. The loft area is accessible by a spiral staircase. 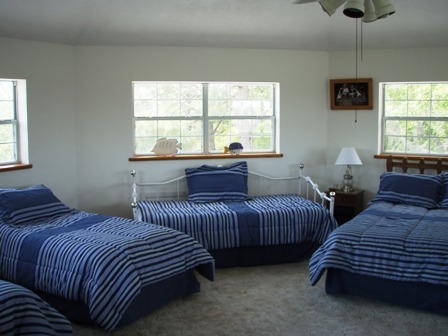 There are 2 twin beds and 1 queen size bed upstairs. 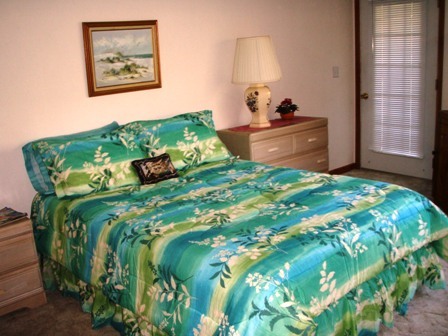 This large bedroom has a full size bathroom attached. The screened porch is where you will spend most of your time. Located off the living room, there is a porch swing, lounge chairs and a small table and chairs.